With the open enrollment period ending on March 31st, those who may not have had time to enroll in an exchange plan can still purchase a health insurance plans even if they missed their chance of purchasing health insurance through the exchange. 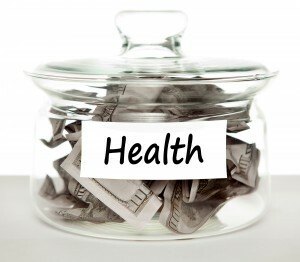 As an alternative, they may qualify to purchase an association health insurance plan through an association. What is an association health insurance plan and why are they beneficial? An association plan is a federally controlled health insurance program usually composed of a small group of professional trade groups. There is an association plan for many different types of these trade groups, and today, there are around 15,000 functioning association plans existing according to The Council For Affordable Health Insurance’s Issues and Answers. They are beneficial in many ways and provide several perks. An association health insurance plan boosts smaller corporations’ benefits and helps make the smaller companies benefits’ parallel to larger corporations. It gives the smaller companies the opportunity to decrease payments by slashing regulatory compliance money. A major plus when an individual buys into an association plan is their premium will stay at a low price. The employer in the association plan will be paying for at least one-half of the premiums owed each month. Regardless if the individual in the association switches job, their benefits will remain the same because their benefits are custom to only them. The association does not operate for the insurance system, but for the members of the association. And in juxtaposition to exchange plans where an individual’s health insurance plan must go through all 50 states, an association plan has to only comply through the federal rules listed within all the member companies. Most importantly, joining an association plan provides a variety of options for all its members regardless of its small size. An association plan even provides out-of-network benefits. What Are A Few Association Plan Options? HIP provides many benefits including acupuncture, massage, and yoga classes for alternative medical resources at cost-friendly prices. It will raise its premium even if you do develop a medical condition later on in life. If you do decide to renew your premium, you can discuss it with the association to ensure you receive the lowest possible premium. Members do not have to bother with insurance representatives; they will communicate directly with the association. Access to experts in the entrepreneurial field who can help answer any questions for individuals. Members can ask about taxes or finances and more. Their health insurance plans do include medical assistance in areas including prescription drugs, dental and eye doctor visits. An HIP HMO LOW plan rate would cost you $614 with an in-network deductible of $0 and an office co-pay of $30. Now compare that price to one of the exchange plans in the marketplace. Let’s use Health Republic Essential Care Gold as an example. Its rate is $438.69 with an in-network deductible of $600 with an office co-pay of $25 after deductible. Another example: Easy Choice Gold Standard with its rate $615.36 and its In-Network Deductible $600/$1,200. The Office Co-Pay is $25 after deductible. Compare and contrast the differences between the exchange plans and the association plans and see the difference in prices. You may notice that an association plan is actually cheaper. For more information about our association plans (which include Health Plan of New York and BlueCard), check out our page here. Although association plans are being used less and less, they still exist, although, in time, they will become extinct. However, you can use this to your benefit in the long run. If you remember the blog post discussing qualifying events, one of the factors that made you eligible for an exchange plan was if your health insurance was discontinued. Now, as association plans are considered a health plan, if yours were to cease existing, according to the rules of the qualifying events, now you are a candidate for health insurance within the marketplace even if it isn’t enrollment season. So if you missed the enrollment period, consider this alternative before any association plans become extinct.